One lucky fan secured a pair of tickets for an August show in Toronto. We’ve obscured the name and order number of the ticket for privacy and dressed it up with an image of Hip frontman Gord Downie. 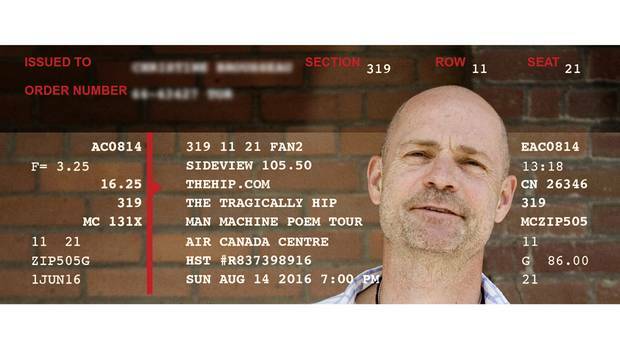 What's happening with The Tragically Hip tickets? The last tour of the Tragically Hip was meant to be a sad, fond goodbye. It has become something else as well: an ethics controversy. With the announcement that lead singer Gord Downie has terminal brain cancer, the band mapped out 15 concerts across Canada. In short order, digital scalpers scooped up hundreds of tickets and offered them back to fans at lofty prices, igniting a debate about the law and morality of a new online marketplace. It's familiar terrain to anyone who has tried to see an Adele concert or a Stanley Cup finals game. But in the Hip, scalpers and their opponents have found a tragically perfect test case. Mr. Downie's illness gives the tour a rare sense of finality – driving up demand for, and brutally curtailing future supply of, the band's music. The nature of that music also adds resonance: For many Canadians, the Hip isn't just another rock band, but one that gives voice to a folksy, fragile strain of the national character, as much as Alice Munro in books or Bobby Orr on skates. With songs such as Bobcaygeon and Wheat Kings, Mr. Downie and Co. told the country a story about itself. All this has heightened the response to an ordeal that has otherwise become routine for sports and music fans. The trouble started this week when Hip fans were given the chance to buy tickets for the tour before Friday's general sale. Special access codes were sent out to members of the band's official website on Monday and Tuesday, so that only registered fans and those with an American Express card could purchase seats. But within minutes of the start of the sale on Ticketmaster, searches for tickets yielded no results. A storm of criticism soon followed on social media, with outraged fans blaming both Ticketmaster and scalpers for the scarcity of seats. StubHub, a resale website based in San Francisco, was singled out. Immediately after the sale started, its website was advertising hundreds of tickets – some for the show in the band's hometown of Kingston were selling for as much as $5,000. Even Prime Minister Justin Trudeau has weighed in on the controversy, telling reporters Thursday that his government would look into the issue. The Tragically Hip’s Rob Baker says that when the band recorded their third album Fully Completely in 1992 they weren’t as good as musicians as they are now, but the band itself in an ideal state. While it isn't clear what happened to the Hip tickets, the speed and volume of the purchases suggest the involvement of bots. These sophisticated computer programs are able to crack firewalls by performing thousands of transactions at once, and mimicking the behaviour of human Web users. So while most ticket sellers use CAPTCHA technology that requires buyers to interpret a series of hazy characters and type them into a field, ticket-buying bots can bypass that process. And by making scores of simultaneous purchases, the bots can gather tickets that human fingers are too slow to snap up. In a 2012 interview with Billboard, one old-school scalper described the lengths to which some of these "brokers" have gone. One bot operator generated so much heat with the 600 WiFi modems he had set up at a strip mall outlet that the temperature of the adjacent store was affected. The efficacy of these bots can be extraordinary. On Dec. 8, 2014, one broker bought 1,012 tickets to a U2 tour in sixty seconds, according to a recent report from the New York State Attorney-General. Some shows see 60 per cent of their best tickets siphoned off this way, Ticketmaster says. The resale market is where consumers suffer. After amassing piles of hot tickets, brokers use websites such as StubHub to mark up prices – old-fashioned scalping with a technological boost. Estimates put the average resale price for tickets online at about 50 per cent above face value, but top acts such as Bruce Springsteen and Beyoncé sometimes see seats resold at 10 times the sticker price. The use of bots has extended to virtually every forum where buyers seek a limited supply of something online. The sanctity of an occasion is rarely a deterrent. Pairs of tickets to see Pope Francis in Central Park reached an asking price of $5,000 on Craigslist in September. To complicate matters, it's often hard to tell whether tickets have been taken by professional brokers using high tech, or by amateurs looking to score extra gas money, says Dean Budnick, co-author of Ticket Masters: The Rise of the Concert Industry and How the Public Got Scalped. The phenomenon has puzzled legislators. In recent years, jurisdictions from Washington State to Ontario have legalized scalping in an effort to regulate it online, and in hopes that digital markets might benefit consumers by increasing efficiency and competition, as they have in so many industries, from taxis to the sale of second-hand furniture. Instead, the Internet has given scalpers unprecedented power over who gets to see live entertainment, and at what cost. As the New York State Attorney-General's office put it: "Whereas in many areas of the economy the arrival of the Internet and online sales has yielded lower prices and greater transparency, event ticketing is the great exception." Tragically Hip singer Gord Downie in Bobcaygeon, Ont. When Hip fans took to social media this week to express their frustration, they blamed scalpers for snatching up most of the tour's tickets. This may be true, but as the New York State Attorney-General wrote in his report, fans and scalpers typically duke it out for the same limited pool of tickets. More than half of tickets, the Attorney-General wrote, are "either put on 'hold' and reserved for a variety of industry insiders including the venues, artists or promoters, or are reserved for 'presale' events and made available to non-public groups, such as those who carry particular credit cards." With such a small fraction of tickets available to the public, and with fans outgunned technologically, it is no wonder that scalpers have the edge. Scalpers don't necessarily deserve all of the hate that's been directed at them, says Marie Connolly, an economics professor at the Université du Québec à Montréal who wrote her PhD thesis on the practice. Without scalping, the only way for concert goers to purchase tickets would be at the initial sale. And, according to Ms. Connolly, that would likely shut out some consumers from ticket sales entirely. "Resellers obviously also make money, and it is easy for the public to loathe them because they're seen as ripping off fans while not doing much," she says. "But they actually provide a service – getting seats you would not otherwise be able to get. And they do take risks. They can get stuck with tickets no one wants." The artists themselves are most likely the biggest losers from this exchange. Not only do they earn nothing from resales, but they also tend to under-price their own tickets out of loyalty to their fans, Ms. Connolly says. While this might seem great for concertgoers, it also leaves plenty of room for a secondary market to take hold. "Somebody out there will be willing to forgo a cheaply bought ticket and sell it to someone who values it way more," she says. The Tragically Hip did not immediately respond to a request for comment. Ticketmaster's role is more complicated. In 2012, it settled a class-action lawsuit with outraged fans who accused the company of selling original and scalped tickets on its websites. At the time, this practice, known in the industry as linking the primary and secondary markets, was illegal in Ontario. But last year, the law was amended, allowing resellers to peddle tickets for more than face value as long as they are verified by the original vendor or resold with a money-back guarantee. That seemingly innocuous change opened the floodgates to the kind of tactics that scalpers see as unfair – selling both original and resale tickets on the same site. "The law was changed so that primary could be linked to secondary for verification purposes only," says Angie Coss of the Canadian Ticket Brokers Association, a group that represents scalpers across the country. "That means that you as a consumer could scan your ticket and [Ticketmaster] is supposed to come back and say, 'Yes, that's a verified ticket. You're not going to be turned away at the door.' But that's not what they're doing." The only way to have your ticket verified is through Ticketmaster, and so far, Ms. Coss says, the company has refused to do so. Instead the company, she says, is exploiting the law and has gone back to the business of selling original and scalped tickets on the same platform, a practice that she argued could eliminate competition in the industry and lead to even steeper prices. 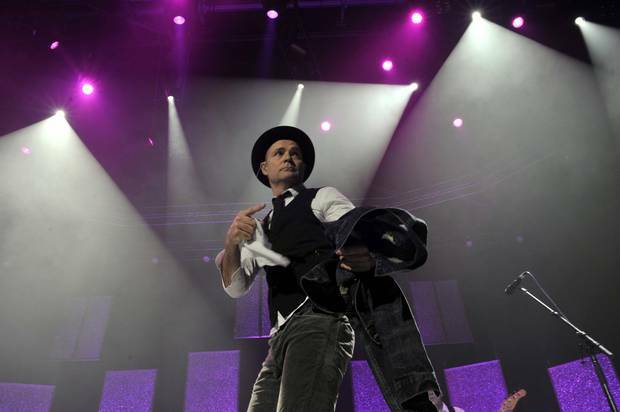 Gord Downie of The Tragically Hip, performing at the Air Canada Centre on Feb. 14, 2013. Can anything be done to stem the tide of online scalping? Governments and ticket sellers have tried to little avail, despite a few symbolic victories. Many have focused on curbing the role of bots – more than a dozen U.S. states have made it illegal to use the software. But enforcement is difficult, and criminal penalties rare. In April, New York State settled with a series of online ticket brokers – firms such as TicketToad and Flying Falco Entertainment – by levying $2.7-million (U.S.) in fines against them. But the state Attorney-General acknowledged the need for stiffer rules, including a cap on the markup that brokers can charge. "Ticketing, to put it bluntly, is a fixed game," wrote Attorney-General Eric Schneiderman. A bill supported by New York Senator Charles Schumer would set national rules for ticket sales. Until now, federal prosecutors have used a novel interpretation of Web-hacking laws to go after predatory brokers. In 2011, three men who ran the scalping outfit Wiseguy Tickets narrowly avoided a five-year prison term after pleading guilty to a range of crimes including conspiracy to commit wire fraud. Some musical acts and ticket-selling companies have tried to plug the legal void with gambits such as the "paperless ticket," which requires fans to provide the credit card they used to buy a given ticket at the door. But that method hasn't caught on. This week, Ontario Attorney-General Madeleine Meilleur says vaguely that she would like to "fix" the problem of scalped Tragically Hip tickets, but under existing law that may be difficult. The province legalized scalping in 2015, with some conditions (sellers have to provide a money-back guarantee if the ticket proves inauthentic). Ultimately, the advance of Internet scalping may be too swift for regulators to tackle. Mr. Budnick points out that efforts to curb the practice fail because of jurisdictional confusion: Who is responsible when a scalper in California buys a ticket to a New York concert and sells it to Toronto buyer using an IP address in China? And despite headaches for fans, the stakes may be too low to invest in the necessary enforcement efforts. "I can't see regulators stepping in," says Richard Powers, a professor at the University of Toronto's Rotman School of Management. "There are more important things they have to regulate." Even if the practice remains legal, Prof. Powers will be joining millions of his countrymen in scorning the scalpers making hay from the final Hip tour. In a very Canadian series of connections, he played rugby with Mr. Downie's brother at Queen's University in Kingston. Mike Downie would bring Mr. Powers and his teammates to local bars to see Gord play, long before the Hip became famous. It's why he's reluctant to apply strict free-market logic to the case. "It's not a whole lot different from Uber's surge pricing … when you take the emotion out of it," he says. "The difference here is that you can't take the emotion out … And that's what makes this unpleasant." How can you beat the system? You're up against battalions of bots, all of which are considerably faster than any human; you're pitted against thousands of other fans, who are just as desperate as you are; and if you do manage to land on a seat, you have to make sure that it actually falls within your budget. The odds are stacked against you. But you can definitely improve your chances. Robert Garrison, a Hip fan who snagged seats, needed to deploy a digital arsenal Tuesday to secure his tickets. Mr. Garrison says he was armed with three computers and two cellphones, each looking for seats at different shows. He recommends using multiple devices when searching, and refreshing the Web page about a minute or two before the start of the sale. But, he warns, following his method doesn't guarantee you a seat. Phoebe Platnar, a Hip fan who managed to purchase six tickets Tuesday with far fewer resources, says it mostly came down to luck. "The first presale they had, I got nothing, so it was only until [Tuesday] with my one computer refreshing the page for like 20 minutes that I managed to get tickets." On its website, Ticketmaster lists a slew of tips for fans hoping to maximize their chances. Among its recommendations: Users should be signed in ahead of time, they should avoid using a shared WiFi to increase their Internet speed, they should use more than one computer, they should keep checking back as more seats might eventually turn up and, perhaps more important, couples or those planning on attending in groups should be prepared to split up. "The fewer tickets you search for, the better your odds of scoring them," the website says. "At least you can still carpool." 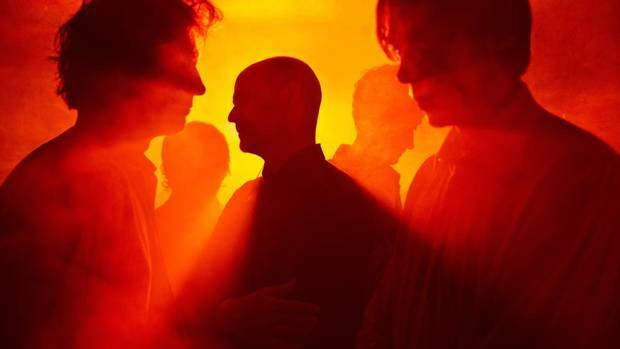 The cryptic world of Tragically Hip front man Gord Downie In 2014, Brad Wheeler caught up with the Tragically Hip frontman as he teamed up with Toronto alt-country outfit The Sadies for a new solo project. 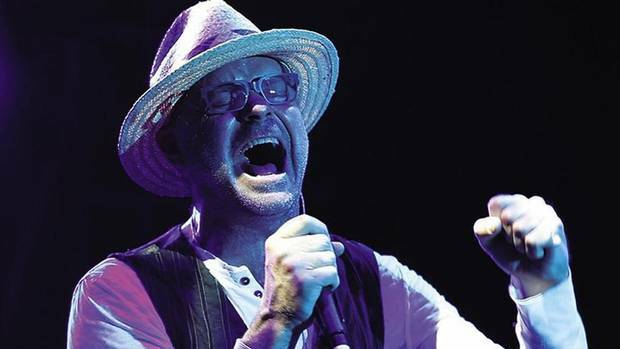 Bobcaygeon: Tragically Hip concert doc misses the mark The film’s charm is its dealing with Hip fans and townsfolk, Brad Wheeler wrote in 2012. The band’s fans will need to watch Bobcaygeon, while others can miss it.